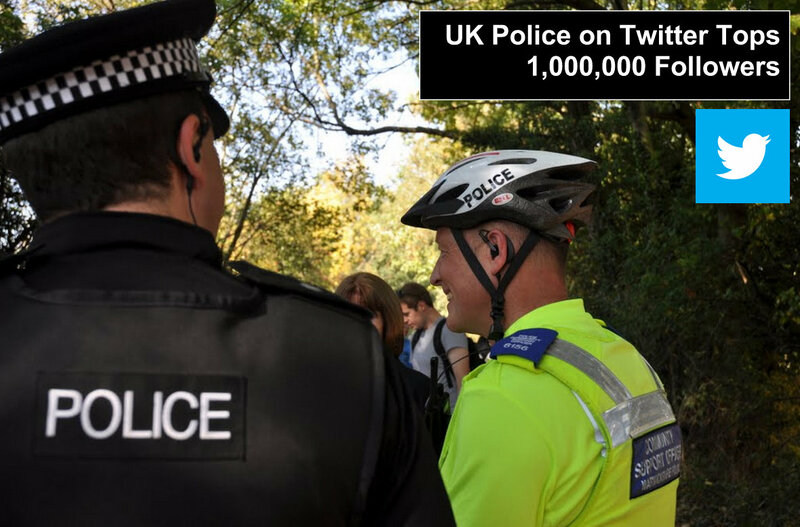 3, All Twitters accounts have increased at a rate of 10.35%, that's an average of 1,763 per account. For a closer look, visit the Google Docs Data Set, see Data Feb13 (Colums E and F) and the two Charts (Twitter Jan to Feb). 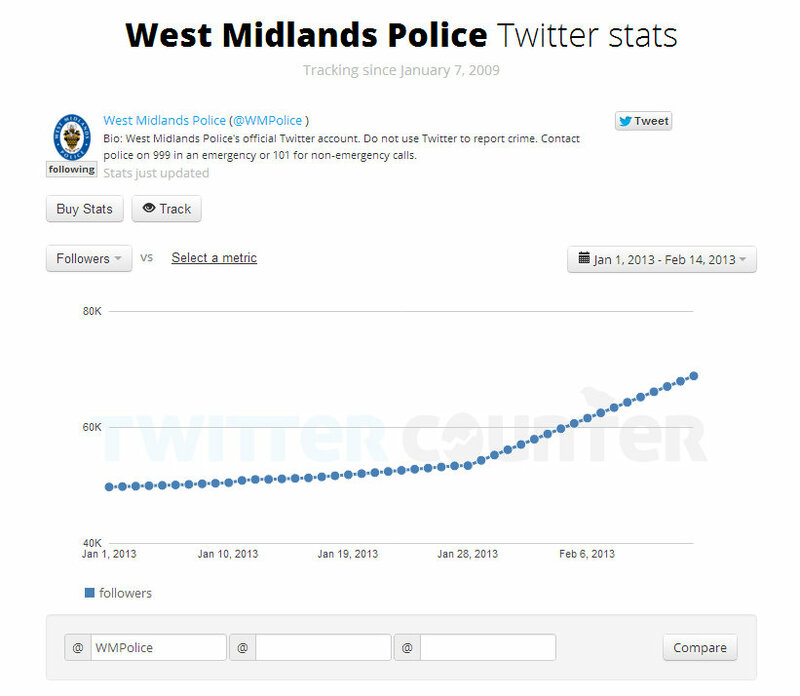 It's clear people are flocking to follow their local Police Force on Twitter, but what have West Midlands Police done that takes them from 42 extra followers a day to 909? On speaking to their Corporate Communications Office this morning, no idea apart from hard and consistent work, a 24 hour Tweetathon (hailed as a huge success) on 1 Feb 2013 and Kerry Blakeman delivering a keynote in California. But, the data spike started on 28 Jan, mix in their press release and some other media publishing the event, we only have a small explanation. In the meantime, I'm digging deeper, but if I were another UK Police Force, I'd want to know what the forces of West Midlands, Norfolk, City of London, Metropolitan and the Northern Ireland Police Service are doing and make sure I do it too. In my view, if a private company increased their Twitter followers by 37% in a month or a 1,000 per day in the last 15 days - that employee would get a pat on the back (and a fat bonus). So, there's a lot to learn here. People follow the Police for different reasons. I'm looking at some closer trends across other platforms - will report back. I have Facebook, YouTube and Google+ to consider next. 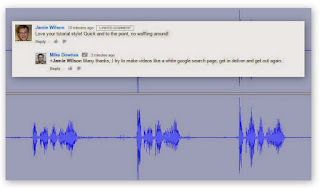 If you can see any trends or have any comments, leave them here, on Google+ or at Twitter.